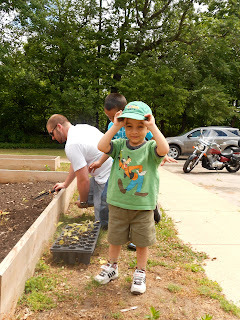 I am SO very sorry that I am just sending you this now, over a week after we had our big planting event for the garden. Attached are 5 pictures from our big day and we have many more here if you are interested (I just don't want this stuck in cyber space). The planting went wonderfully. Mitch provided us with a great variety of plants and seeds so we now have 2 boxes that each have tomatoes and peppers, one box with cucumbers, one box with egg plants, and one box with green beans. We also have one little box with a sign and we planted zinnia seeds in it. Today I looked and we have 13 little green bean seedlings growing! I also have an intern and a senior aide prepping the area around the boxes to be completely mulched because the grass was destroyed after a plumbing project this summer. 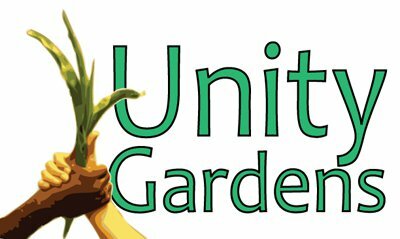 Thank you and Mitch SO much for including us in the Unity Garden movement. It is a really awesome opportunity and we are excited and grateful to be involved. My work e-mail is rebekah.deline@redcross.org and so you can catch me there if you have any questions.